Ever ate something dull that it just makes you think it needs more sauce or ketchup or any condiments available. Well, visual content is that condiment you’re looking for. As we’ve said a while ago, don’t go too formal on your market, they’re not your business colleagues or partners, they’re your friends, consumers. Enough feeding them with too much information on words. You have to generalize your market, look at all of them as people who don’t have time to read too much. And if you’re investing too much on being too formal, chances are, you won’t get everyone’s attention. Visual content offers you an effective way to talk to your market. These people, especially on social media, they’re hungry to scroll, scroll, scroll, only stopping at something catching their attention. And that there is visual content. What’s even better here is that if your market happens to like the visuals that you present them, chances are they’re going to share it themselves, which broadens your reach, and that’s a good way to reach people right there. This is probably sort of a given, right? Having images like product effects, with the “before and after” stuff adds up to the business’ credibility. You’re showing them results rather than telling them. And adding some creativity in the shots, your market, or any people in their feed will surely appreciate that. Sure, they may still need some more convincing, but at least it lessens their doubt regarding your product and your business. And that you got nothing to hide. Or you could generate your photos into a meme. Of course, if you’re talking about the world of the Internet, you have to have a meme. It’s like a prerequisite. Or if you could just show it to them. A creative video enables an entrepreneur to further explain without ever having to meet people one by one, that’ll be good too, but that’ll make you lose some precious time. The trick here is that you have to avoid looking like a class presentation with just showing slides and explaining it to them, at this point, you have to have the right guys to make it to you. Add some humor if you can, people on the Internet love that. Some people appreciate the numbers. It presents further proof and credibility. 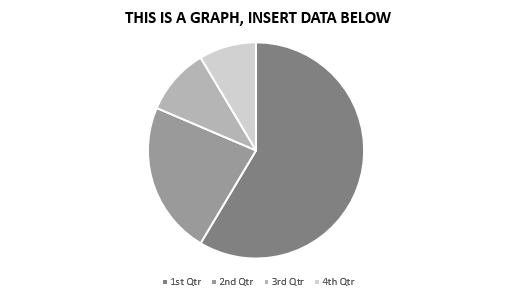 Give them charts. There’s a lot of them to choose from. Something that’ll further explain why your business is better than others. As people put it, numbers don’t lie. Just, of course, give them the right calculations. You may never know if some of these people are actually checking to see if your numbers are right. Keep it clean, alright? Impress your market! Contact us now here at MyBusybee! We got everything digital that best fits you! (Don’t be dull like the visuals above, we can give you better!). Just go to https://www.mybusybee.net/ or follow our Official Facebook Page at https://www.facebook.com/officialbusybee.textblast/ and contact (02) 929-2222 or (63) 917-837-2000 now!